Are you due to get your driver’s licence this year or do you have a teenager who is preparing to get their licence soon? Getting your driver’s licence can be a daunting task and one that most people dread but done right this process can be a painless and easy process. 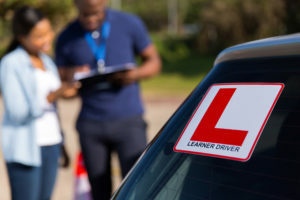 You can either practice with someone with a valid driver’s licence in the car with you (remember, you’re not allowed to drive by yourself with just a learner’s licence), or you can contact a Driving School near you. This might be the better option as they are professionals and will ensure that you do everything perfect according to the K53 guide. Do not put unnecessary pressure on yourself by slacking and not being prepared for the day. Being properly prepared will ease your nerves significantly. Remember to stay calm and be confident – you prepared for this day, you’ve got this! Sit up straight in your seat and don’t rush things. Keep a clear and open mind and don’t get distracted by things happening around you. Your most important (and only) job for the day is to stay calm and to ace your test! If you passed your test, they will let you know straight after your road test. A temporary licence will be given to you the same day and you will be able to collect your permanent licence after a few weeks. You are now allowed to celebrate your success and to brag a bit on Facebook. If you didn’t pass the test on your 1st try, do not get discouraged. Take a deep breathe and follow the steps above from the start – do not assume that you know the basics already. It’s better to go back to the beginning and to make sure you know everything you need to know and to learn from your previous mistakes.